My 3rd article on ZALORA, up! | escaped. My 3rd article on ZALORA, up! For this one, I thought I'd break away from fashion smashion business and do something I'm familiar with. "I had a hard time understanding your last article - too fashion technical for me"
So this time, an article I wrote specially dedicated to my husband (and the awesome years we spent in Japan) using my own pictures, now up for your reading. The pictures are all taken from this blog, too - it's actually a good thing to have a blog haha. Fact is, I was in Japan long enough that I could say it was my second home – especially when you spent most of your teenage adolescent years there, all bleary-eyed trying to find yourself in life (and getting a degree). Turned out I had the time of my life gallivanting around Japan when I’m not busy studying for finals, with my then boyfriend (now husband and father of my 8-month old baby) and I’m ready to share with you the places in Tokyo I think would worth your money and time, if you’re ever planning to go there. Hop on the famous Yamanote line train and go to this place to experience Japan more than you bargain for. There are endless possibilities – you’d casually run into some Japanese chicks dressed as Sailormoon or equivalent (if you’re into cosplay), you’d find the most delicious strawberry ‘choco’ crepe you’ve ever tasted, the small yet busiest shopping street and many more. On festive seasons, there will be decorations and events all over the street to celebrate, too – the once in a lifetime experience. Who could forget the most famous and busiest crossing in the world? Shibuya crossing is one of the major places to go to in Japan, even for those visiting for third/forth/tenth time. 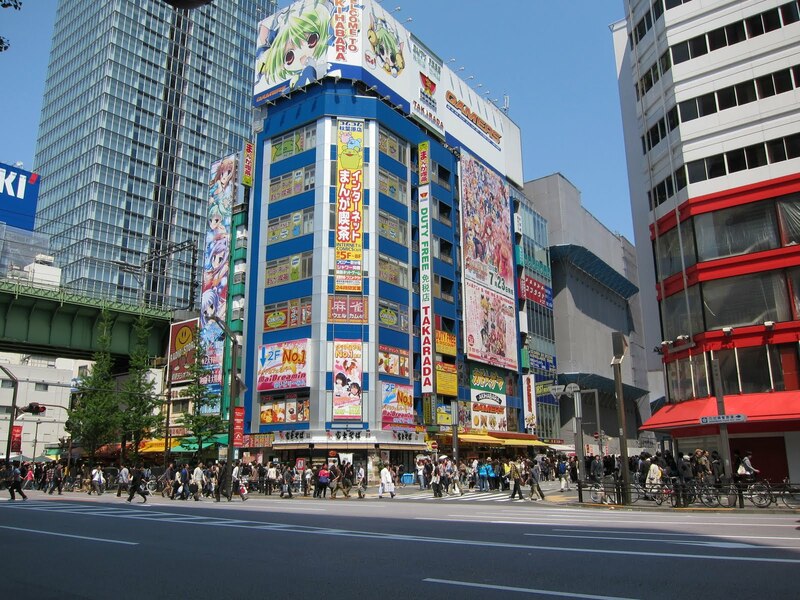 Shibuya is home to Shibuya 109 building where you’d find interesting Japanese fashion – the likes of Samantha Vega, Cecil McBee and Esperanza; which are among the famous fashion house in Japan. Gothic, sweet, and funky – no worries, you’d find it all here. Not to forget, if you’re a history geek, you’d be happy to locate the statue of Hachiko the dog – remembered for his loyalty to his owner back in the 1920s. 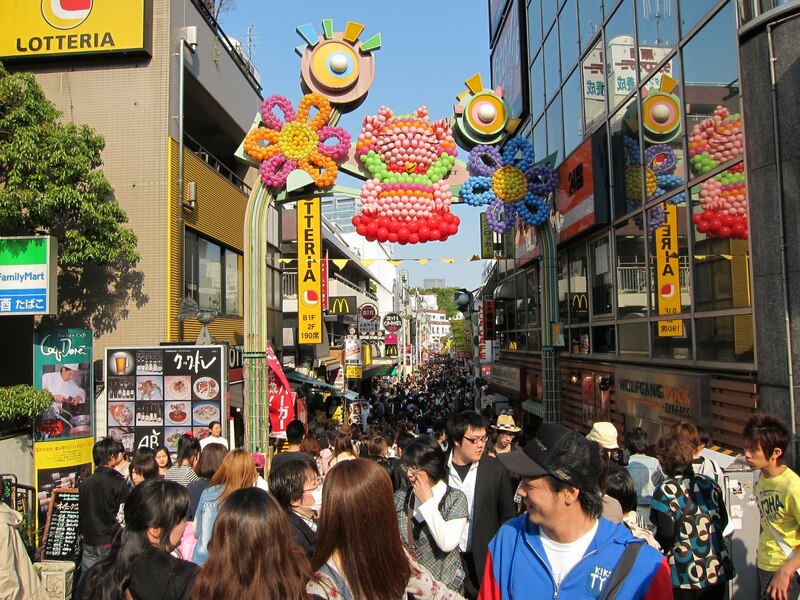 Take a break from the city and hop over to the home of traditional Japanese temple, Asakusa. Senso-ji temple is the oldest temple in Tokyo and surrounded with beautiful gift shops along the road leading up to the temple. Dip into the historic part of Tokyo where Buddhist plays a significant role in the area which can be seen from its structure, such as the “Kaminarimon” or the “Thunder Gate”. They’re the ultimate selfie spot! OK, so maybe you could only afford to go to either one of the Disneys if you’re a student on a budget – but make a point to go to either one during your visit. Simply because when else! DisneySea is however recommended if you’re looking for your own entertainment – while Disneyland maybe would be more appealing to the younger version of you. Whichever the case, you’d sleep better at night knowing you’ve been to the Japanese version of Disney World. Admittedly, I’m not into electronic gadgets so I’ve only been here twice; but it’s worth the train ticket. Akihabara is known as the “Electric Town” due to its role as the major shopping centre for all electric and electronic goods where you can find cameras, phones and video games at relatively good price (than anywhere else in Japan). If you’re not into gadgets, have fun watching the eye-catching Japanese ads, all sorts of different game-related devices (and its thousands different accessories!) and Japanese anime goods sold at almost every building you pass by. All of these places are worth to go to for your first visit to Tokyo, and some would even worth the second time. The capital of Japan has a lot to offer – so don’t forget to cherish your experience and soak the Japanese culture on your way.